Pitching is set to take center-stage this weekend as second and third-place teams take the field in the first stage of their respective Climax Series this weekend. Three of Japan’s most talked about pitchers — the Hiroshima Carp’s Kenta Maeda, the Orix Buffaloes’ Chihiro Kaneko and Hokkaido Nippon Ham Fighters wunderkind Shohei Otani — could all be in action (though a rainout earlier in the week may result in Maeda being pushed back), and a fourth, the Hanshin Tigers’ Randy Messenger, should get be getting more attention than he receives. Lovers of pitching and defense could be in for a treat on Saturday as each member of this Fantastic Four attempts to get the postseason off to a good start and get their team one step closer to a Japan Series title. Kaneko and Otani are expected to square off in Game 1 of the Pacific League series at Kyocera Dome in Osaka. Kaneko has had a solid career that’s always been overshadowed by the hurlers a rung up the ladder, the Yu Darvishes and Masahiro Tanakas of the world. When Kaneko won 17 games in 2010, Maeda won the Sawamura Award. When he was lone pitcher to meet the award’s seven suggested criteria in 2013, Tanaka won it with his 24-0, 1.27 ERA season. This year it’s Kaneko who has separated himself from the pack. The Orix right-hander won finished with a 16-5 record, 1.98 ERA, and 199 strikeouts. He doesn’t have Darvish’s stuff, but his arsenal of different pitches rivals that of the Texas Rangers superstar and he can attack hitters in a multitude of ways. 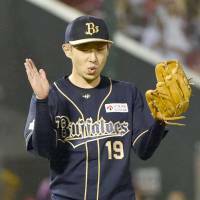 Kaneko hasn’t escaped the notice of MLB scouts, though he’d have to be posted, and there have also been rumors the Yomiuri Giants might make a run at the domestic free agent after the season. The Fighters were the only PL team Kaneko didn’t beat at least once this season. He made three starts against Nippon Ham, allowing 10 runs — seven earned — in 21⅔ innings. Otani, the 20-year-old Fighters pitcher with talent that makes scouts drool, will likely oppose Kaneko in the PL opener. Otani, who will be making his postseason debut, comes armed with a fastball he can throw in the 160s — he touched 162 kph in his final start of the year — and off-speed pitches that can make knees buckle when he has a feel for them. Otani is the next big thing in Japan and he’s only going to get better as his skill begins to catch up to his talent. The two-way star hit .274 with 10 home runs and 31 RBIs in 212 at-bats, but really shone on the mound in his first full season in the rotation. Otani made 24 starts, finishing with an 11-4 record and a 2.61 ERA in 155⅓ innings. His 2.58 fielding independent pitching lines up with his ERA and the young fireballer led Japan with a 10.37 strikeout rate, finishing fourth to Tohoku Rakuten’s Takahiro Norimoto, Messenger and Kaneko with 179 strikeouts. 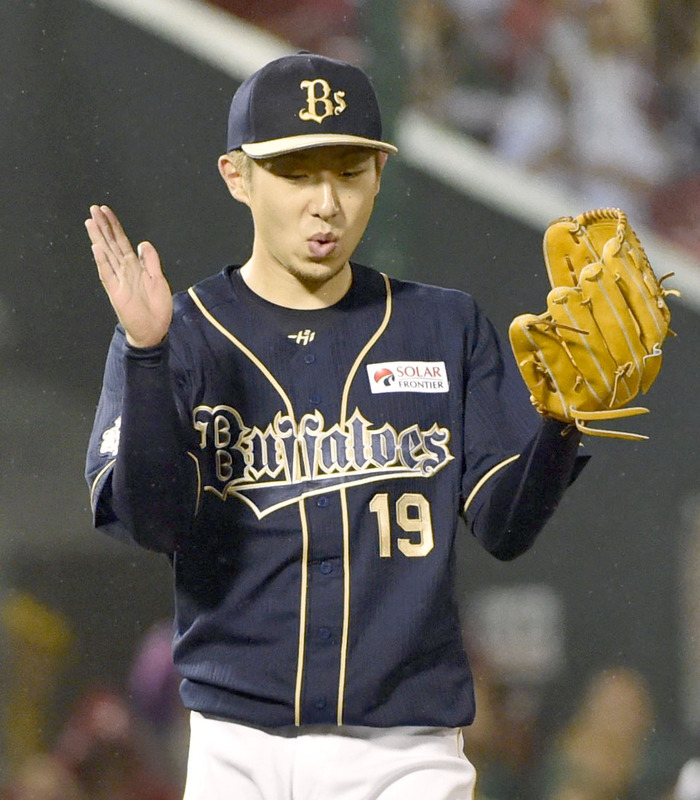 He doesn’t bring the repertoire to the matchup that Kaneko does — Otani is mostly fastball, slider, forkball with a smattering of curves and the odd change-up mixed in — but has the talent to shut down any lineup. The second-year hurler won both his starts against the Buffaloes this season, including a five-hit shutout on Sept. 13 in which he struck out nine. In the Central League, Maeda will be on the road at Koshien Stadium after losing the Carp’s last game of the season, which dropped the team from second to third in the CL. Hiroshima’s ace is widely expected to make the jump to the majors this offseason, and scouts have been sniffing around all of his outings. Like Kaneko, Saturday could possibly be his final start for the Carp. A step down from Darvish and Tanaka, Maeda is still plenty good, with good control of his fastball and above-average secondary offerings. Maeda didn’t have the type of year Darvish and Tanaka did before their NPB exits — if he’s even leaving, and it’s worth noting Maeda would have to be posted, so the Carp will have a say — but still performed among the upper echelon of pitchers. He ended the season 11-9 with a 2.60 ERA, 2.91 FIP, 161 strikeouts and 1.10 walk plus hits per innings pitched. Over 70 percent of his outings were quality starts. The Carp righty didn’t exactly finish on a high note, going 2-5 with a 3.25 ERA after the All-Star break. Maeda, however, has faced Hanshin three times this season and is 1-1 with a 2.86 ERA in 22 innings. Because he pitched on Monday, because of a Sunday rainout, it’s possible the Carp could push him back to Game 2 to give him an extra day of rest. If not, he’ll need to be on his game with Messenger (13-10), who tied for the CL lead in wins and led the league with 226 strikeouts, three complete games, and 208⅓ innings pitched. The 198-cm hurler can cut an imposing figure on the mound with his big overhand delivery and he’s mowed down hitters virtually all season. He faced the Carp four times and was 2-2 with a 3.12 ERA against them. Anything can happen in one game, as evidenced by Los Angeles Dodgers pitcher Clayton Kershaw during the MLB playoffs, but on paper, the first two games of the postseason could both go down to the wire, with runs at a premium due to a quartet of pitchers who can each deliver shutdown innings when it matters most.